Does thinking about going to the dentist make you anxious or ill? 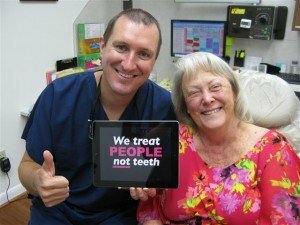 Would you like dental visits to be pain- and care-free? 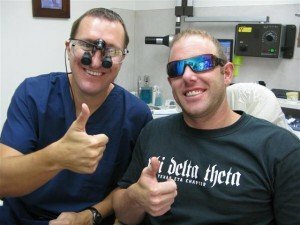 If you answered, “Yes,” then you need to visit Dr. Michael Nugent’s Pasadena, Texas dental office and experience Sedation Dentistry. Dr. Nugent holds a special license from the State of Texas to administer special sedation techniques for his patients. Immediately following his graduation from Dental School, Dr. Nugent quickly realized that many people had a fear of the dentist. Most causes are due to prior negative dental experiences. 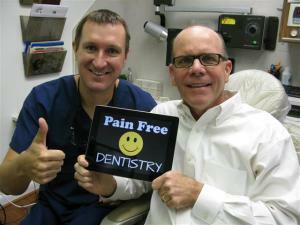 Dr. Nugent started to study the emerging field of sedation dentistry and has become a local leader in dental sedation. Imagine having your dental work complete, and when the treatment is over you have no recollection of your treatment. Dr. Nugent combines oral sedation (pills) and nitrous oxide (laughing gas) to help his fearful and anxious patients. 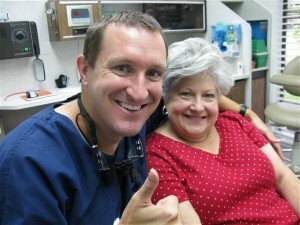 Patients enjoy the simple and relaxing effects of sedation dentistry. They are several forms of sedation that are available. The simplest and easiest is to only utilize nitrous oxide (laughing gas). The nitrous oxide relaxes patients, and at the end of the procedure the patient is fully alert and able to drive themselves home. Conscious sedation is the utilization of oral pills and nitrous oxide. The sedation is deeper and is used for more frightful patients. Patients must have someone drive them home and stay with them until the effects of the oral medication have worn off. 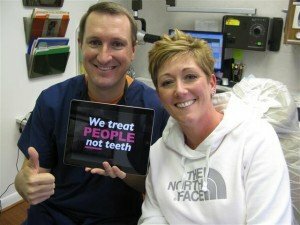 Sedation dentistry has helped patients overcome their fears of the dentist. Call 713-941-8261 to schedule a consultation to talk to Dr. Nugent on how sedation dentistry can help you. Dr. Nugent’s office is located at 3421 Burke Rd Ste A, Pasadena Texas 77504. Dr. Nugent sees patients from Pasadena, Deer Park, La Porte, Friendswood, League City, and all over Texas. Experience what modern dental sedation can do for you. Call us at 713-941-8261.